Seeking an affordable place to lay your head in Echuca? There are a wide range of options with Wotif. You'll find 48 hotels within a radius of 5-kilometre. You can't get much more central than the Quest Echuca and the Pevensey Motor Lodge! If those don't appeal to you, the Echuca Nirebo Motel and the Comfort Resort Echuca - Moama are also close. Explore the natural environments of this destination by spending some time at Banyule Park State Forest. If you're intrigued by this attraction and would like to stay close by, take a look at Discovery Parks - Echuca and Discovery Parks – Maidens Inn. Understand how things have changed by stepping inside Echuca Historical Museum. You can visit this site everyday, especially if you stay at Discovery Parks - Moama West and Comfort Inn Settlement. For some alternatives, look at the Murray River Holiday Park and the Cadell on the Murray Motel Resort. They are located 2 kilometres and 5 kilometres respectively from the main center. If those two aren't for you, you can try the Georgian Motor Lodge or the Madison Spa Resort. You'd have to be a Wally to head off without doing some exploring in Victoria. Photograph Victoria's rivers and mountains. You should also visit the region's history museums and art galleries. Adventurous visitors might also try snowboarding and skiing. If you want to check out some nearby cities, think about Kyabram and Mooroopna. Travel 35 kilometres to the southeast of Echuca and you'll find Kyabram. Alternatively, Mooroopna is 60 kilometres to the southeast. 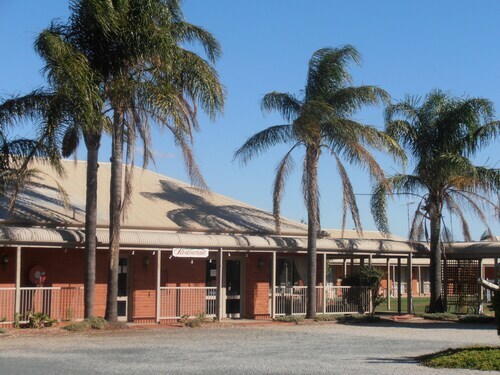 Kyabram accommodations are the Kyabram Motor Inn and Ky Country Roads Motor Inn. 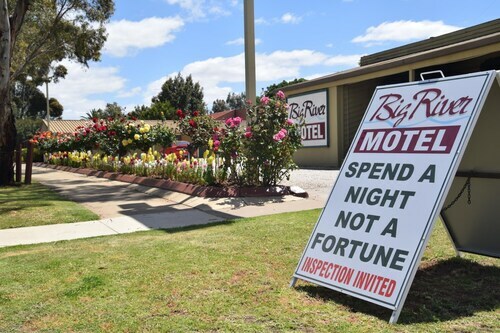 Mooroopna options are the Rodney Motor Inn and Big4 Shepparton Park Lane. Crazy about sport? Indulge in your passion by visiting Queen Elizabeth Oval, which can be found to the southwest of Echuca. Sleep right near the action at the Quest Bendigo or the Hotel Shamrock Bendigo. Located 170 kilometres away from Echuca is Tullamarine Airport. Stay nearby at the PARKROYAL Melbourne Airport or the Holiday Inn Melbourne Airport. How Much is a Hotel Room in Echuca? Hotels in Echuca start at AU$90 per night. Prices and availability subject to change. Additional terms may apply. Friendly/helpful staff and room was very suitable.